Challenge: First, seek inner guidance. Then, pick a couple of things from the list below and make them part of your regular routine. Every little bit helps. You can save the world. “It really comes down to this, that all life is interrelated. We are all caught in an inescapable network of mutuality, tied into a single garment of destiny. Whatever affects one directly, affects all indirectly.” Martin Luther King, Jr.
To unblock drains: 4 tbs. baking soda, 2 fluid oz. of white vinegar, 2 cups boiling water. Pour down drain twice weekly. To freshen carpets before vacuuming: sprinkle baking soda lightly. To clean and disinfect countertops: 1⁄2 cup vinegar, 1⁄2 gallon warm water. Or, dissolve 2 tablets of denture cleaner overnight. will allow the chlorine to evaporate. Give your old cell phones to charity. Make sure all data are cleared out first! Donate your old reading glasses to Lions Clubs. Minimize your open fridge time. Much energy is wasted when the door remains open for extended periods. Switch to low power long lasting “green” light bulbs. Put a brick in your toilet tank. It will save many gallons of water every year. Cut your shower time in half. Use your coffee grounds as compost and plant fertilizer. These are just the proverbial tips of the iceberg. 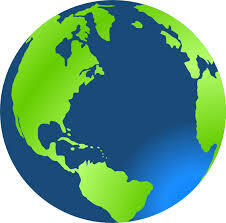 To find more ways to help leave a lighter footprint on Mother Earth, visit the numerous “green” online sites. You can start by clicking HERE.